Allons chanter ! (Let’s sing!) Allons danser ! (Let’s dance!) Apprenons le français ! (Let’s learn French!) Get in the language-learning groove with this fun-filled collection of original tunes and beloved traditional favorites performed by internationally-acclaimed French artists Marie-Louise Desage and Didier Prossaird. 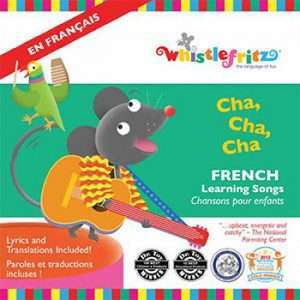 From “Bonjour Les Amis” to “Au Revoir“, kids and adults alike will love these irresistible rhythms and catchy songs that introduce French words and phrases such as numbers (“Un, Deux et Trois“), parts of the body (“La Tête, Les Épaules/Head, Shoulders“) and children’s favorite topics (“Quand Je Serai Grand/When I’m Big” and “Y’a Pas de Fête Sans Gâteau/It’s Not a Party Without Cake.”) A rollicking rendition of “Le Vieux MacDonald (Old MacDonald)” puts a French twist on a beloved classic. 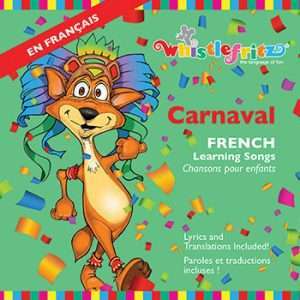 Take the music and fun along with this festive French learning CD. Didier Prossaird’s irresistible music is as unique as his background. The versatile bandleader, performer, and composer was born and raised in France, moved to Saint Barth’s where he performed with several island bands, then relocated to Washington, D.C. where he created the acclaimed salsa band Sin Miedo. Didier performs regularly in the US, Caribbean, and Europe. Allons Danser ! - Let's Dance!